Site Pollution Liability insurance, also known as Premises Pollution, Environmental Impairment Liability (EIL insurance), and Pollution Legal Liability (PLL), is designed to cover claims arising from pollution releases at, on, or emanating from a specific scheduled location. A “location” can be as broad as an entire piece of property or as narrow as a specified storage tank. How does Site Pollution Insurance work? Coverage is triggered either by a claim for damages from a third party, or by the discovery of contamination above “Action Levels” on the insured’s premises. “Action Levels” are a very important concept to understand. These levels are set in every community on a Federal, State, or local level. They represent the allowable concentration of any contaminant for the area in which the contaminant is discovered. Coverage can be constructed to apply to only On Site Bodily Injury, Property Damage, and Clean Up, or only Offsite, or both. 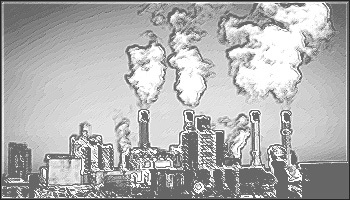 Policies clean up pollutants to the acceptable level dictated by the governing authority. In other words, if you have pristine land on which you spill diesel fuel, you will end up with whatever the allowable level of diesel fuel is by the governing authority. Coverage can be modified to cover only new conditions occurring from policy inception onward, or unknown pre-existing conditions, or both. Coverage is very flexible and is almost always Claims Made. Mold, Fungus, and Legionella coverage. Non-owned disposal site coverage. Illicit abandonment. Transportation Pollution Liability coverage. Can be packaged with Products Pollution. Property Owners, Operators, and Managers. Industrial facilities, including recyclers, storage sites, landfills, warehouses, manufacturers, etc. Any purchasers or sellers of properties.